We are Ragunath Padmanabhan and Nisha Srinivasan. We were both raised in Tamil Nadu, India with middle class values of the 1980s. We spent our formative years in Tiruchi, a small town, as neighbours. We moved to the US at age 26 and spent 9 plus years there, primarily in the Silicon Valley, before returning to India with our then 2 year old son. Along the way, we explored life in many ways: technology and marketing through our professions, discovering inspiring people and books, practicing and teaching Yoga, travel, hiking, meditation, Ayurveda… Partly our exploration was to just enjoy the ride and partly it was to discover ourselves and possibly our life’s purpose, if there is one. Fortunately, our open ended exploration led us to ServiceSpace, a volunteer-run organization that inspires people through be-the-change principles. Through the lens of this Sangha, we gained a broader and deeper perspective of our life, a rich experience of serving others and a way of being that allows dynamic learning. We also met a number of amazing people old and young who inspired us and helped us decide our current commitment. Service Space keeps us nourished and constantly nudges us towards our next level of growth. Thanks to the support of our family and good friends, in the end of 2008 we moved to Alandurai, a village near Coimbatore district in South India to pursue natural farming in its many hues. After building a Laurie Baker inspired eco-friendly home and setting up an Agroforest in 9 acres (owned by a group of friends), we have become proper “rural folk”. We also enjoy being practitioners, volunteers and students of the vast and magnificent science of natural healing. Occasionally our Coimbatore group organizes health camps to help people lead a healthy life. Our son is being farm-schooled (one among the many variations of home-schooling) and is enjoying it so far. Ragunath worked for fifteen years in areas that include Sales, Advertising, Marketing, Information Architecture, Management Consulting and Start ups. He did a technology startup in 2001 which instead of increasing his appetite for accumulating personal wealth pushed him towards some soul searching and landed him in the world of be-the-change service. 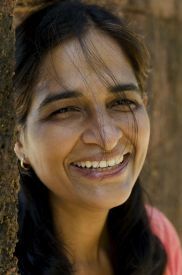 Nisha spent many years developing software products and services for companies like Ramco Systems, Moodys and Sony. As a transition step, in Santa Clara we ran a weekend institute called East Point for a year that explored ways for a collective of eight friends to help understand oneself better, identify each one’s passion, overcome internal resistance and take the plunge in ways big and small from that trusted space. To keep ourselves healthy and happy, we attempt to be lifelong students of Vipassana, Yoga, Naturopathy, Simplicity and Gratitude. That’s awesome. I’ve been doing similar things (quitting my IT job at Chicago, moving back and living in the farm trying to help local communities and tribal people). Need to talk to you. Please call me or give me your contacts. Looking forward to talking with you. SO sorry to get back so late. Both Raghu and I thought the other had gotten back until I saw today that neither of us had replied. Would you mind putting your questions in an email so we have a better sense of what you are looking for? Subsequent to that, we can have a phone conversation. Just came across ur blog, and impressed. My sister lives in Alandurai, and our farm is near Palladam :-). Am impressed at ur eco house too. Interested to know on your farming activities. May I have your email address please ? 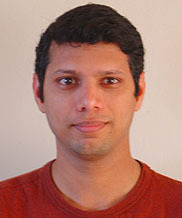 Hey Nisha/Raghu: This is Suryaprakash from Hyderabad. We met at Shabbar’s place. I may be coming to Coimbatore next week, and wanted to explore the possibility of meeting you there. Do ping me back. My number is 9989780170. Hello mam/ sir, I am Saujanya. I am a college student currently interning at The Hindu newspaper. I would like to interview you for my article on Home schooling. I would like to interview you both for it. I really dont know how to get in touch with you. Hi Nisha…..I am from Coimbatore. I was very happy to know about you & Rahul. I am very proud to read about your Natural way of doing Agriculture. We will feel more happy….if you ptovide the Farm Address or your Mobile Number. We are intrested in Natural way of doing Agriculture. we will be very thankfull…if you provide the contact details. Thankyou…. How r you al? I am Anand & Manju, my life partner. We are planning to be a Permaculture farmer in near future. Now we are in search of Agri land. I want your contact Number and Address of your Farm. Do this favor…to us. Awaiting to see you & your Farm. How r you all ? I am Anand. We are planning to be a Permaculture farmer in near future. Now we are in search of Agri land. Awaiting to see our Farm. I am Srikrishna R and Prasanna Devi R, my wife from Vadavalli, Coimbatore. I read an article in The Hindu magazine dated 29 March 2013. In this connection I would like to have u r contact number, please share me u r contact number.